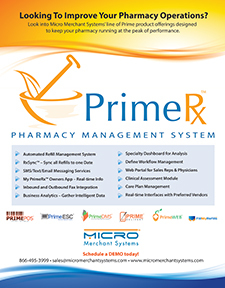 Your search for the best Pharmacy Management System ends here. 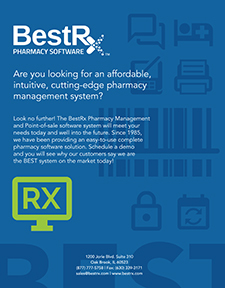 Best Computer Systems (BCS) offers you an incredibly robust, user friendly and affordable Pharmacy Management System. 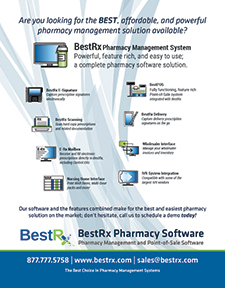 The "BestRxWin" system from BCS is the cutting edge Pharmacy Management software for independent pharmacies. The "BestRxWin" system is extremely easy to use, and requires little to no training. Currently we have over 800 installations of the "BestRxWin" system nationwide and are continuously growing. Since 1985 Best Computer Systems (BCS) has been providing cutting edge software solutions for pharmacies and retail stores at an affordable price. We know that pharmacists are looking for ways to reduce their costs while increasing their productivity, and we believe we can help achieve this goal. Our pharmacy management and point-of-sales applications use the latest technologies and are extremely easy to use. This ensures that our customers will be on the leading edge while helping them to keep up with their increasing demands. At Best Computer Systems (BCS), we also believe in personalized service. We feel it is our obligation to get to know each and every one of our customers, so that we can provide the quality service that they deserve. Along with the extensive help and support already built into our software and the FAQ page on our web site, whenever you have a question, you can give us a call for friendly, reliable customer support, with 7-days-a-week extended support hours. We will walk you through and help resolve any problems you may have. 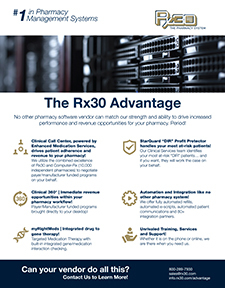 If required, we can connect with your pharmacy computer to help solve any problem in a quick and efficient manner. RNA Holdings, LLC doing business as Mobile MedSoft® started in 1975 designing and implementing software solutions for pharmacies as RNA Health Information Systems. 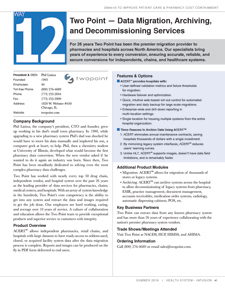 Today, not only do we develop standard and customized solutions for both Retail & Long Term Care pharmacies but solutions for Long Term Care facilities, Assisted Living facilities, CCRC�s, Group Homes & Hospitals. 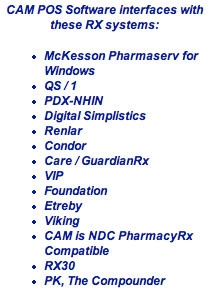 Customers looking for integrated systems that offer eMAR, Point of Care, Facility Web Portals, Patient Portals, Physician Portals with EPCS, mobile platforms, cloud technology by Microsoft, streamlined workflows that increase speed in processing, improved accuracy and greater communications with your own customers need to look no further than Mobile MedSoft. 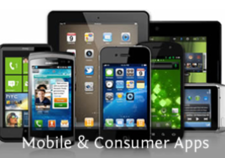 Mobile MedSoft® is all about bringing you the latest in technology products that puts you light years ahead of your competition. 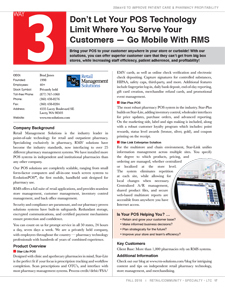 Recognized as one of Microsoft�s most missions� critical accounts on their Azure cloud platform, Mobile MedSoft is also a Valued Added Reseller for Oracle & Dell products. We offer a 90-day priority support for all new accounts and then 24/7 support from industry-experienced support personnel. 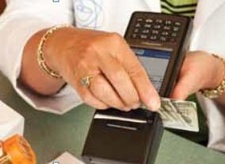 CarePoint has been helping pharmacies reduce operating costs while providing more efficient and expanded services and benefits to patients for over 20 years, with systems that combine ease of use, robust functionality and cost effective operation with the highest standards of patient safety, security, and drug utilization safeguards. 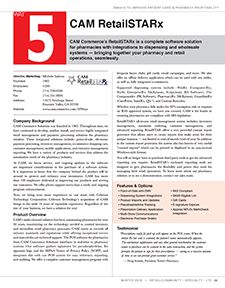 CarePoint is a progressive, leading edge, pharmacy systems technology company dedicated to providing products and technologies that enable pharmacists to take full control over their business. 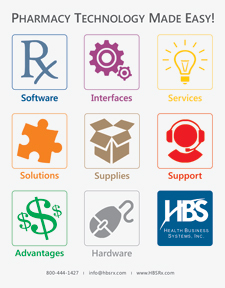 CarePoint systems are currently leading the way across a broad range of pharmacy types, including retail, mail order, central fill, community clinic, hospital, hospice, specialty pharmacy, and correctional facilities. 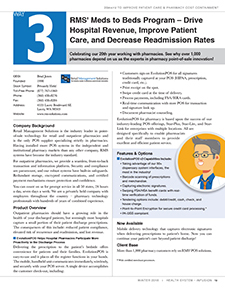 CarePoint�s advanced feature set combines maximum productivity with the highest standards of security and drug utilization safeguards. 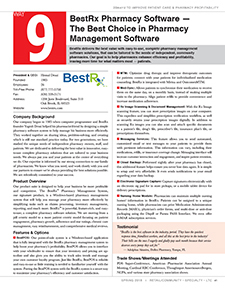 GuardianRx� puts the full range of pharmacy management tools at your fingertips with elegantly integrated Dispensing, Medication Therapy Management, Compounding, A/R and Reconciliation, and Perpetual Inventory Management, including the ability to maintain multiple real or virtual inventories from multiple wholesalers. 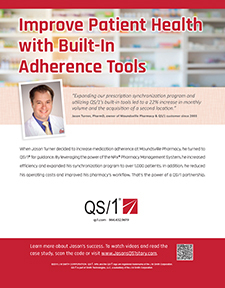 GuardianRx� offers a robust, fully integrated Order/Workflow Management Module designed specifically to bring a new level of productivity to the central fill and mail order pharmacy environment. GuardianRx� provides a comprehensive patient charting system with multiple categories, including Clinical, Documentation, and Monitoring. Two complete CarePlan templates for Asthma and Diabetes provide a consistent means to screen and enroll patients in patient-specific care plans. 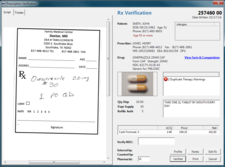 GuardianRx� Scan & Verify provides for the scanning of hard copy prescriptions, insurance cards, and other documents into the system. Once scanned into the system, the documents are linked to the prescription, stored, and able to be displayed as needed at various stages of the dispensing process. 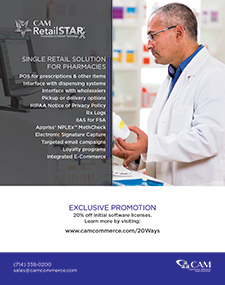 GuardianRx� Electronic Signature Capture allows pharmacies to capture signatures in order to meet the HIPAA privacy requirements, without incurring the high costs and time consumption of a traditional paper-based approach to signature collection, storage and retrieval. 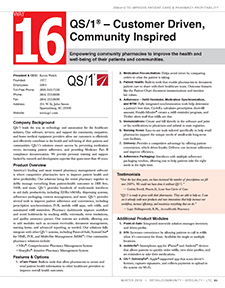 GuardianRx� Advanced Compounder was designed to manage compounding of formulas in batches that can be tracked in inventory as one-to-many package sizes of the same formula (�recipe�). A package size is represented as a unique NDC number. GuardianRx� Web Refill/Patient Portal can provide you with a new web presence or tie into your existing website. 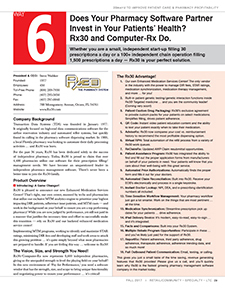 You can allow your patients to review their profile, order refills, select pick up location, delivery, or mail order, ask questions of the Pharmacist, or print tax reports. 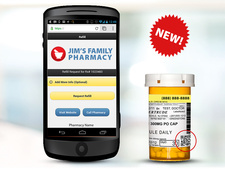 You can even notify your customers when it's time to get a prescription refilled. 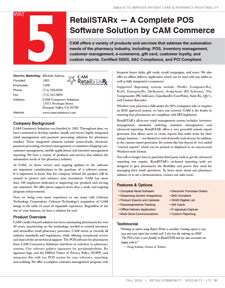 CarePoint on software prescription processing with software Fulfillment / Prescription Processing. 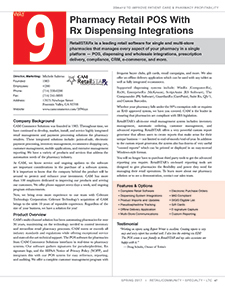 GuardianRx Retail Dispensing GuardianRx Mail Order Systems GuardianRx MTM/Care Management GuardianRx Scan & Verify GuardianRx and Electronic Signature Capture with GuardianRx Advanced Compounder or GuardianRx Web Refill/Patient Portal. Carepoint pharmacy software. Your Pharmacy is Unique. 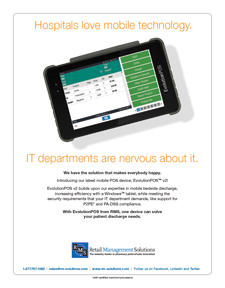 It�s not like every other pharmacy out there - and your technology provider needs to understand that. 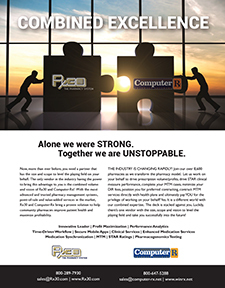 It�s your business, and you want to run it your way. 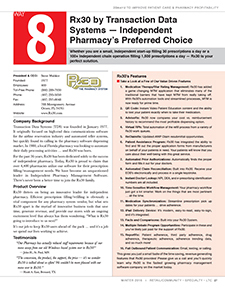 Versatility, flexibility and choice are important - yet there�s only one pharmacy technology partner providing that freedom of choice. At MPS, we can address your specific business needs while helping you reduce costs through economies of scale, assistance with adoption, maintenance, and support. 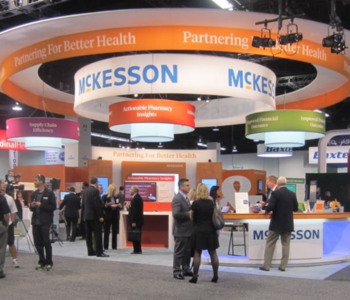 Select the McKesson solution from our portfolio described below that best fits your requirements while still attaining the value and savings needed to survive in today�s competitive market. 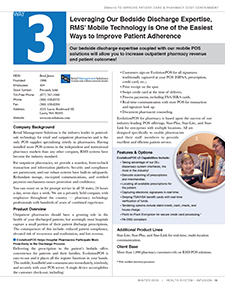 With any of our systems, you can add on supplemental modules that help you run adherence programs, connect with your patients via web and mobile technology, and offer an array of delivery methods that match the needs of your patients. 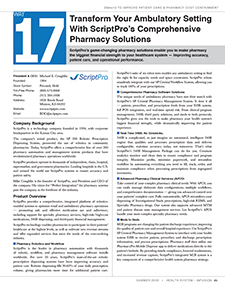 SP Central Pharmacy Management System (PMS) uses ScriptPro's SP Central Workflow System as its operating platform, incorporating robotics, workflow, and pharmacy management within a unified architecture. 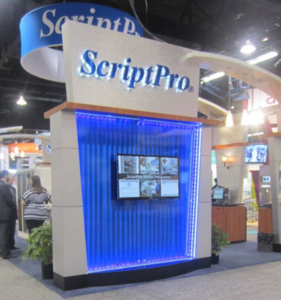 We call this Perfect Integration�the complete solution for your pharmacy, engineered and supported by ScriptPro. 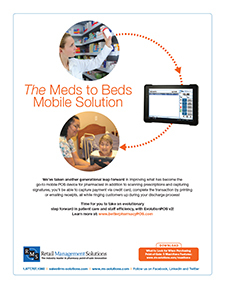 This highly reliable platform means minimal downtime and maximum efficiency for your pharmacy. PMS is configurable to address your specific needs today and scalable to support your growth tomorrow. For a second year in a row, customers ranked ScriptPro's SP Central PMS #1 in the category of Software Solutions-Pharmacy - Outpatient (Retail) in the �2012 Best in KLAS Awards: Software & Services� report. 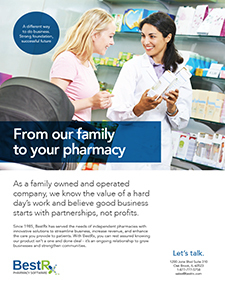 For over 30 years, VIP Pharmacy Systems has been supporting independent pharmacies across the country and helping them not simply stay in business, but grow and thrive. 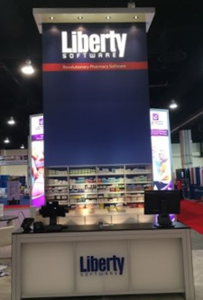 By combining fast, intuitive, all-inclusive software with immediate and personal support, VIP gives your pharmacy the tools it needs to be competitive in an ever-changing and challenging industry. 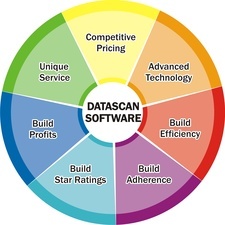 VIP�s software is known for a lot of things: its speed, its ease-of-use, its unparalleled customer service. 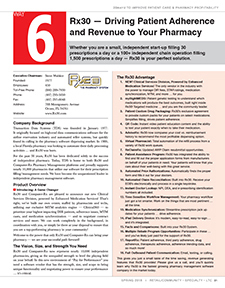 All of these things come out of our background � started by a registered pharmacist, and staffed by programmers, testers, and support staff with backgrounds in pharmacy and pharmacy software, VIP�s focus has always been on keeping the success of independent pharmacy as the motivation for everything we do. 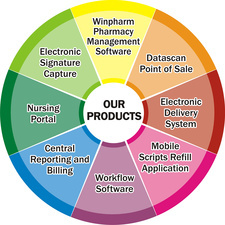 Whether it�s providing syncing and auto-fill tools inside of your workflow, being notified of potential DIR fees, reducing wasteful overstocked drugs with intelligent inventory management and electronic purchase ordering and receiving, or using our drug and prescription image verification software to reduce costly mistakes, VIP�s full suite of pharmacy software tools is designed to reduce your store�s costs and maximize your profitability. 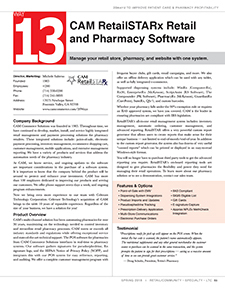 VIP�s fully customizable pharmacy management software is modular by design, and can be configured to fit pharmacies of every size and every budget. Because your software and your costs should be able to scale with your pharmacy as it grows, VIP doesn�t charge our users for software they don�t use, helping keep your startup and monthly costs affordable. 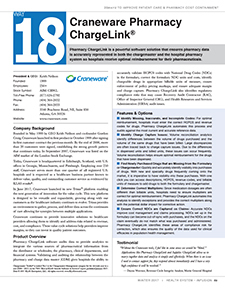 Partnerships with CoverMyMeds®, Pleio®, Amplicare®, and more. Whether you service one group home or 30, VIP has a solution that fits your needs, including our standalone Long Term Care software to help you manage and bill your LTC patients and their facilities. 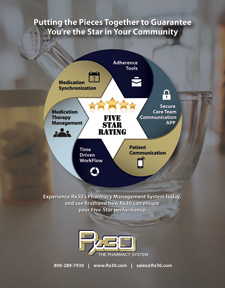 This software can be used in combination with VIP�s Pharmacy Management Software, or on its own for closed-door facilities that exclusively work with group homes. 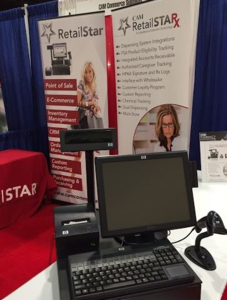 VIP�s seamlessly integrated Point of Sale system means you don�t have to deal with multiple vendors to handle the front of your store. 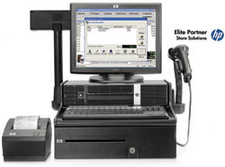 We handle the set up for you, integrate with SIGIS and your wholesalers, and scale your registers to fit your store�s needs and customer flow. 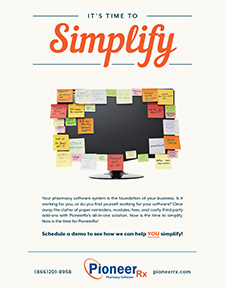 If you�re a small pharmacy, or even a larger pharmacy, chances are you don�t have your own in-house IT department. That�s why VIP does more than help you process claims � we�re your one phone call for 24/7 support for your hardware, software, and networking issues, all with no monthly hardware support fees. With VIP, you can open your business every day knowing you have a top tier support team keeping you running through the slow days and the hectic ones. VIP is also proud to supply our stores with labels, printer toner, statement envelopes, and other products you need to keep your store supplied and running smoothly. 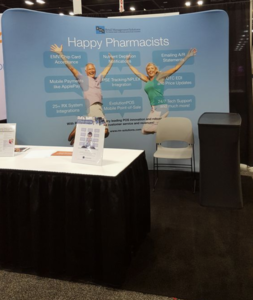 Visit vip-pharmacy.com, or call 919-644-1690 to learn more about VIP and how we�ve helped independent pharmacies across the country for over 30 years! 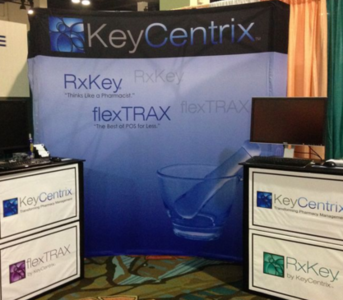 The competitive edge your pharmacy needs. With guidance from pharmacists, we used the latest technology to make every process easier, faster, and more efficient. SharpRx works intuitively through touchscreen, keyboard, and mouse capabilities and offers extensive reporting through SQL-database architecture. 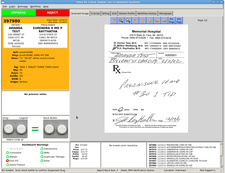 SharpRx includes e-prescribing; price, prescriber, and clinical updates; drug images and imprints; PMP reporting; eligibility checking; prior authorization; third-party claims processing; rebate programs; warning labels; English and Spanish patient education; remote backup; and point-of-sale software. 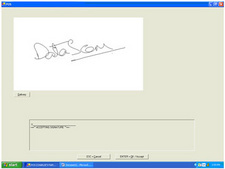 e-script details automatically populate the correlating fields on the prescription-intake screen. You can even enter a new patient�s information by scanning a driver�s license. SharpRx includes smart-search technology to allow for keyword or partial information searches for prescriber, patient, medication, and more � from any screen. Relevant icons and a prominent search bar on every screen provide fast, easy access to the information you need, when you need it. Easily find prescriber records by entering all or part of the name, NPI number or DEA number of the doctor. 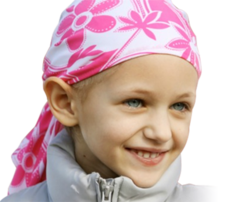 Retrieving patient profiles, and those of family members, couldn�t be simpler. Household members are connected on the same screen for efficiency. 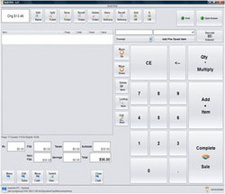 An easy-to-use label and form generator allows drag-and-drop capabilities to create custom labels and forms without software support. 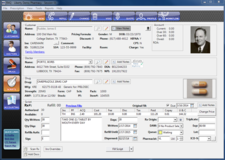 SharpRx also works with the printers, scanners, and other equipment you already have. For customers that use multiple wholesalers, SharpRx makes it easy to submit the most cost-effective orders. Designed with the busy pharmacist in mind, SharpRx helps you solve your pharmacy�s biggest challenges. 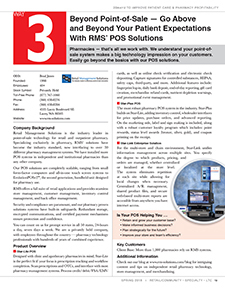 QS/1®�s NRx is a complete and flexible pharmacy management system designed to meet your pharmacy-specific needs. 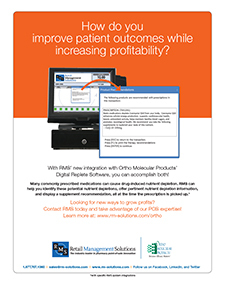 Process new prescriptions and refills quickly with minimal keystrokes or mouse clicks. 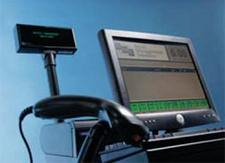 InstantFill® automatically queues IVR and web refills and prints labels. Our Pharmacy at a Glance dashboard displays all of your workflow queues and helps you pinpoint and eliminate potential bottlenecks. Our Health-Minder®reminder system can be used to improve adherence and track compliance issues to produce better outcomes. Integrated Medicare Part B Compliance Documentation tools prepare and print the required documentation during processing and stores it electronically for easy retrieval during an audit. 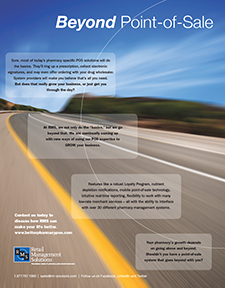 Have you outgrown your pharmacy system? That's what many community pharmacies are asking themselves as they experience "growing pains". 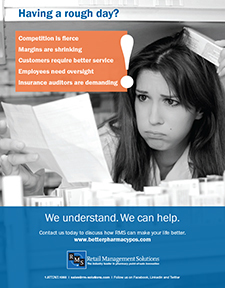 While your pharmacy staff fights insurance claims, error messages, uncooperative doctor's offices, and a computer system that seems slower than it used to, your customers still expect the same fast service they have always received from you. 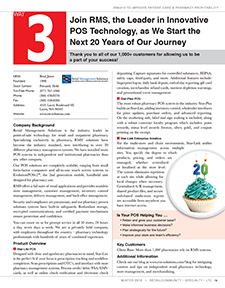 Many pharmacies are realizing that their computer system cannot keep up with their growing business. What is the answer to their problems? 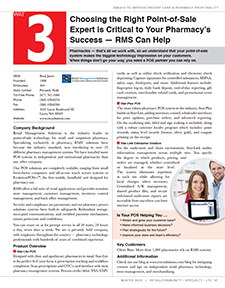 Many pharmacies have found a solution with the RXQ� Pharmacy Management Software. 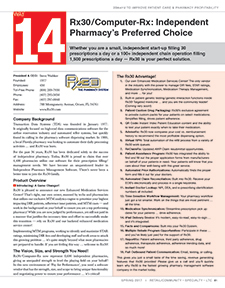 Prescription Processing � Fast and simple prescription filling. 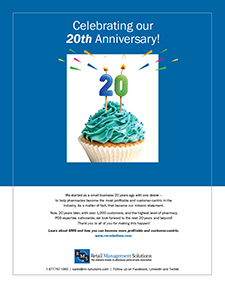 Insurance Adjudication � RXQ gives you the tools to help cope with third-party claims. 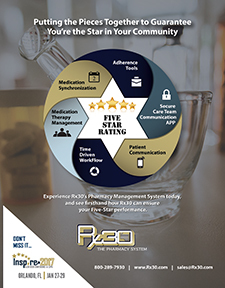 Work Flow � Fully integrated into RXQ allows fast refilling, e-prescribing, tech and pharmacists verifications, doctor call list, deliveries, bins, owes, and customizable tasks. 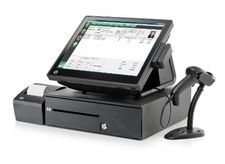 BZQ Point-of-sale, enables you to track sales, front-end inventory, signature capture, process credit, debit, and FSA cards. 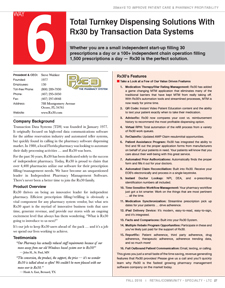 BZQ is IIAS Complaint and PCI Compliant. 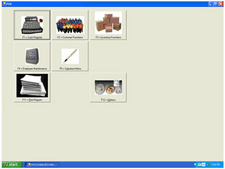 Inventory Control - Monitor stock levels, generate purchase orders, and keep costs under control. You can review drug usage to help make stock decisions. Accounts Receivable - Prescriptions can be auto-charged directly from the prescription screen or through our integrated point-of-sale lane. Extensive Reporting - RXQ's Data View and User customizable reporting gives you the information you need, when you need it. NCPDP SCRIPT 10.6 ready for ePrescribing. 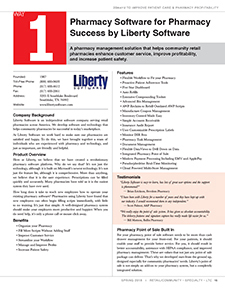 Here at Liberty, we believe that RXQ is a next-generation pharmacy management system. 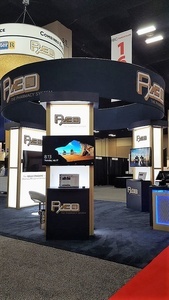 It's not just about technology, although RXQ is built on Microsoft's new technology platform. It's not just the feature list. More than anything, we believe that it is the user experience. 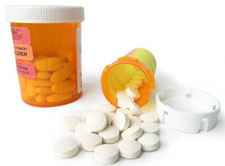 Prescriptions can be filled quickly and accurately. 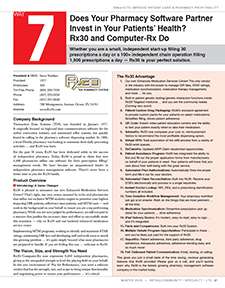 Pharmacists who switch to often tell us RXQ is the easiest system they have ever used. 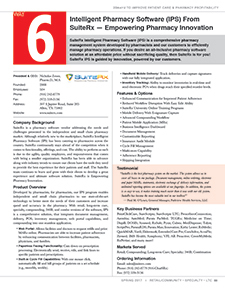 SuiteRx is a pharmacy software vendor addressing the needs and challenges presented in the independent pharmacy market. 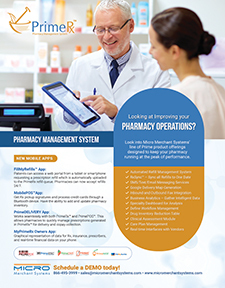 Developed by pharmacists, our IPS program enables independent and small chain pharmacies to use state of the art technology to better meet the needs of their customers and increase speed and accuracy in the pharmacy. 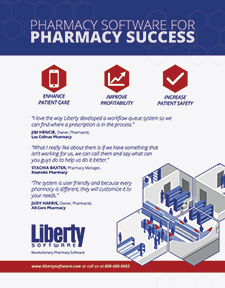 With retail, long term care, and combo platforms of the software, along with advanced compounding and specialty pharmacy workflow options, IPS is a comprehensive solution that will fit any pharmacy environment. 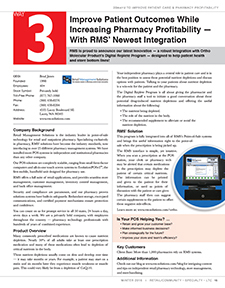 SuiteRx IPS integrates prescription synchronization, adherence reporting, document and delivery management, POS, inventory management (including 340B), and web portal capabilities into one seamless application. Automate Prior Authorization Forms � IPS automatically populates prior authorization forms with patient demographic and prescription information. Facilitate Doctor Calls � IPS is designed to help you significantly reduce the time spent on the phone. With IPS, you can track the status of all doctor calls right from your computer. 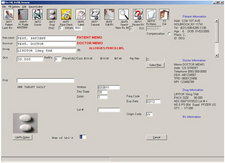 In addition, the system automatically faxes refill requests to doctors. Completely Integrated Fax Server � IPS receives faxes electronically so they can be viewed and processed without ever printing a paper copy. Your pharmacy can generate, edit, send and resend faxes online, and faxes can easily be linked to patients or to specific prescriptions. 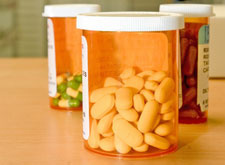 Approved refills can be directly entered into the prescription filling process from the Inbox. 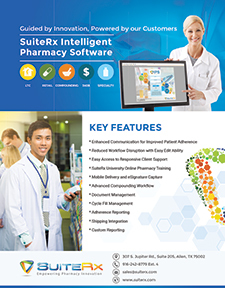 Specialty pharmacy can be a complex avenue to navigate; SuiteRx Intelligent Pharmacy Software is designed to help simplify your specialty workflow from dispensing and distribution through reimbursement. 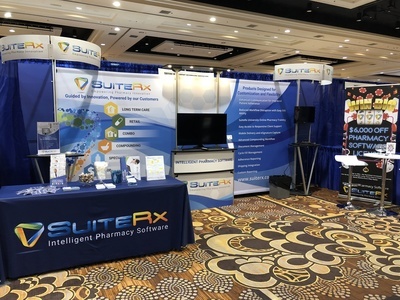 Take your Retail or Long Term Care pharmacy to the next level by offering Compounding�SuiteRx Intelligent Pharmacy Software (IPS) can manage your compounding preparations with a full workflow and even keep track of your batches and existing stock balances. 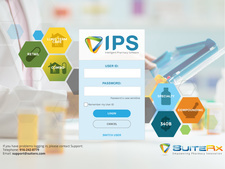 The Institutional Version of IPS is a comprehensive solution to the unique needs of a Long Term Care Pharmacy. Rx Web Portal � Allow facilities and doctors to request refills and print MARs online; enhance communication between facilities, pharmacists, physicians and families. Paperless Faxing � Electronically send, receive, and edit faxes. 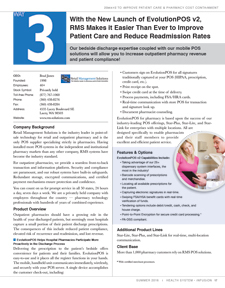 Link faxes to specific patients and prescriptions. 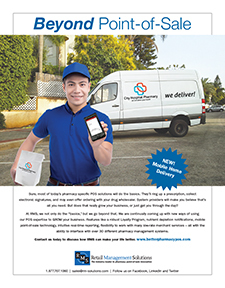 Delivery Module � Track deliveries and signatures with integrated hand held PC's. 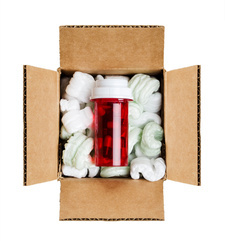 Inventory Tracking � IPS with monitor pill inventories in real time and send electronic PO's when drugs reach their specified reorder levels. Profiles of patients with medication changes, etc. 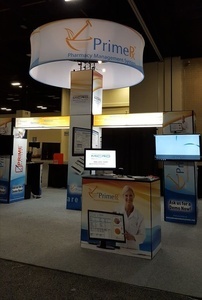 Asembia-1 is a fully integrated, web-based technology platform that optimizes specialty pharmacy operations, prescription workflow and overall patient management through seamless integration with pharmacy dispensing systems. Request your demo at asembia1.com or call 866-766-4002. 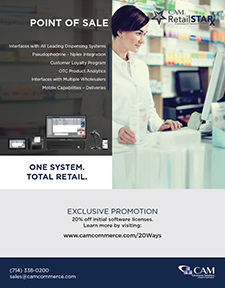 CAM Pharmacy Point of Sale software automates the store operations of the independent pharmacy. 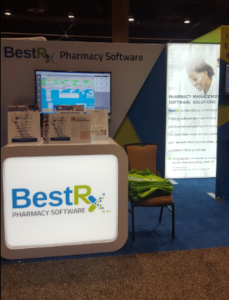 Our software integrates with most pharmacy systems while providing you with state of the art technology and world class support. Our software is IIAS Complaint and PCI Compliant so you don't have to worry about the complexities of accepting FSA cards or credit cards. CAM helps to make sure you keep your customers coming back to you. 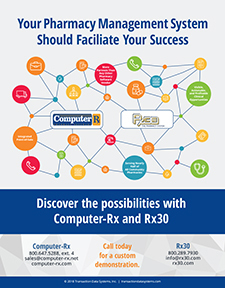 "To find success in today's pharmacy industry, you must be in the cutting edge of technology. 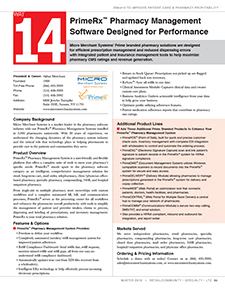 There are many state and federal guidelines that must be adhered to and having the latest software is key. 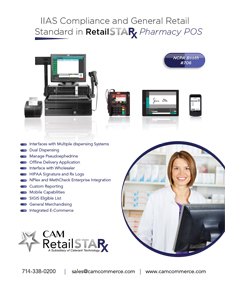 This is why we chose CAM's POS system, integrated with our pharmacy management system. As our industry changes and requirements are made, CAM makes the necessary adjustments to save us time and money." 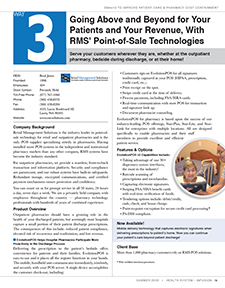 "Finding the right pharmacy management system that shared our passion for customer service took years, and to find one with the perfect POS as well. Our highly competitive and technically demanding industry required technologies that would be equal to the task, " says Frank. 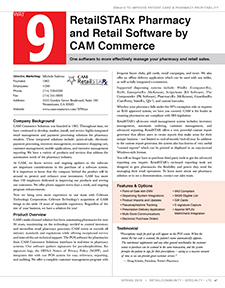 "Cam Commerce's POS system is incredibly sophisticated and detailed yet versatile and easy to use." "We are able to control inventory by regularly utilizing the reporting features in our CAM system. The best part is that you do not have to be a computer wiz to do any of this. Now we can focus on what we are in business for in the first place - providing the best services we can to our pharmacy patients"
Become IIAS compliant the easy way. Learn how to automate your pharmacy store with one complete solution! 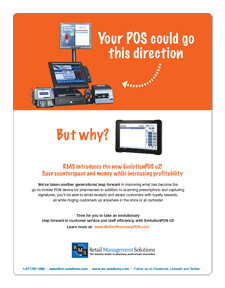 POS Systems with CAM Commerce Solutions and POS Software on Software prescription Processing. 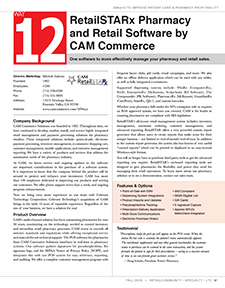 CAM commerce solutions and Point of Sale software the independent pharmacy and IIAS Complaint and PCI Compliant. 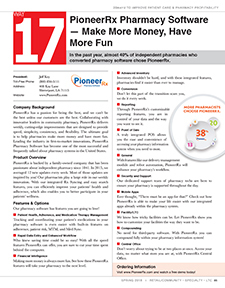 In the past year, almost 40% of independent pharmacies who converted pharmacy software chose PioneerRx. 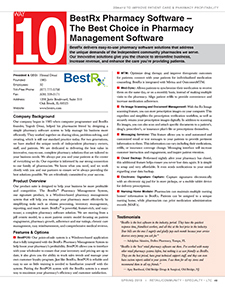 BestRx delivers the best value with easy-to-use, complete pharmacy management software solutions, that can be tailored to the needs of independent, community pharmacies. 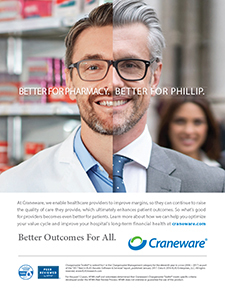 Our goal is to help pharmacies enhance efficiency and profitability, leaving more time for what matters most - patients. 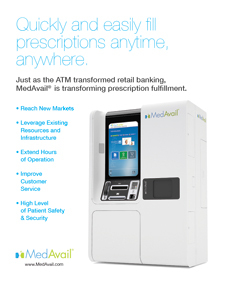 Quickly, Easily, and Securely Fill Prescriptions, Anytime, Anywhere With the MedAvail MedCenter? 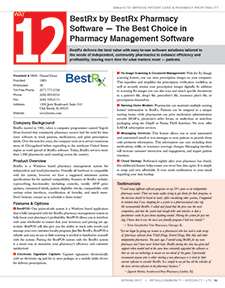 BestRx Pharmacy Management System - Powerful, feature rich, and easy to use; a complete pharmacy software solution. Our clinical programs solution can take the pressure off your business. 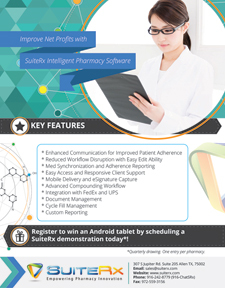 Improve Net Profits with SuiteRx Intelligent Pharmacy Software. 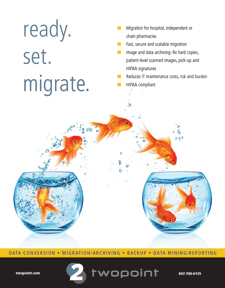 Migration for hospital, independent, or chain pharmacies. 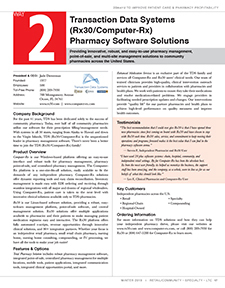 Visual Superscript, the best value in pharmacy software! Concentrate on your profession, and trust ScriptAssist to take care of your business, from prescription entry and refill through reimbursement. With CompoundAssist (included), you can profit from your compounding pharmacy practice. Unlike competing software products, ScriptAssist also manages your specialty pharmaceutical business, including compounding. 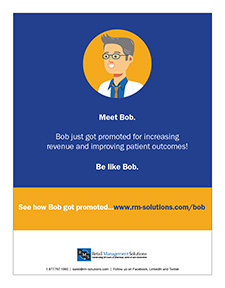 You can automatically collect patient and physician information, along with Usual and Customary pricing for prompt payment. 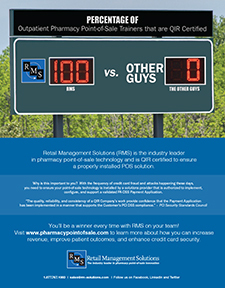 Pharmacy management becomes more challenging each year, from Internet security to complying with HIPAA regulations. 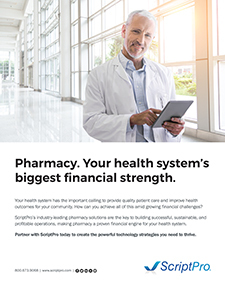 At SRS, we build pharmacy systems that set the pace for the industry, making your business operate more efficiently and profitably, year after year. 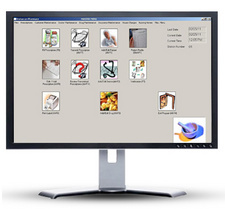 Strengthen Pharmacy Communications with Facilities by using the SuiteRx Web Portal! The Mobile MedSoft App Has Been Placed in the Monday Apps Demo Session at Health Datapalooza IV! After reviewing more than 175 submissions and more than 65 virtual auditions, we are pleased to announce that the Mobile MedSoft App has been placed in the Monday Apps Demo session at Health Datapalooza IV! The Chief Technology Officer of the White House and the United States Secretary of Health and Human Services will be present at Health Datapalooza IV.